Melanculia talks past, present and the future. – INDIE VOLT! So where are you guys from and how did you guys meet? Where the name Melanculia come from? Melanculia, as a band name… well… in 1999 when Nino sort of “created” Melanculia, it seemed to be a great name for a band. He had in mind to express his (mostly melancholic) feelings and he loved the sounding of the word itself. Easy, isn’t it? How would you guys describe the type of music you produce? We don’t know. It is pretty difficult to describe. Maybe it is grunge, maybe indie, maybe melancholic post-punk. Who am I to define? What are the main influences you guys have when it comes to creating music? Mostly Nino creates everything on his own. The upcoming album should be developed altogether, but for now, we don’t know what and how it will happen. We see that you guys have done some live performances, where would you say your favorite place to perform has been? Any place that you would like to perform at? For some reason Nino wants to play wave-gothik-treffen – no one understands why, since Melanculia has nothing to do with gothic… we adore the stage at area 51 in Hilden. That’s an awesome stage. What do you guys like about that stage? How’s it stand out from the others? Area 51 is a venue in Hilden (Germany) where the “Gotham sounds festival“ takes place every year. The stage has its very own feeling. We just love the vibe. The crowd is always great there. It is cozy and professional. Describe an average day for Melanculia. We go to work, after that, we sometimes meet for rehearsals, at the rehearsals room. We are sorry. No big story. A typical Melanculia rehearsal takes around 40-50 minutes. The crew is perfectly organized. Everyone rehearses his instrument on his own at home and we just meet in order to “get together” and in order to develop a certain feeling for the live shows. We know some people have deeper meanings for some of the songs that they do, do any of your songs have a deeper meaning? Yes definitely! Nino says that he wrote down then his songs. This scares us. How long have you guys been doing music for? We are old bastards, I guess every one of us is into live music for 10 or more year. What advice would you give someone that is just getting started in a music career? Don’t think about it – just run! Choose a direction, forget everything around and start the run, as fast as you can. 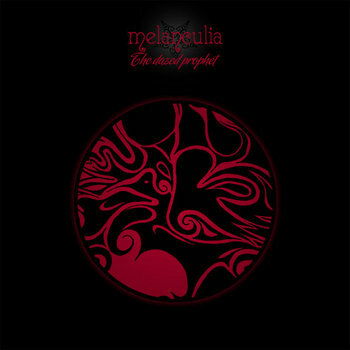 So besides on Indie Volt Radio, where else can people find Melanculia? 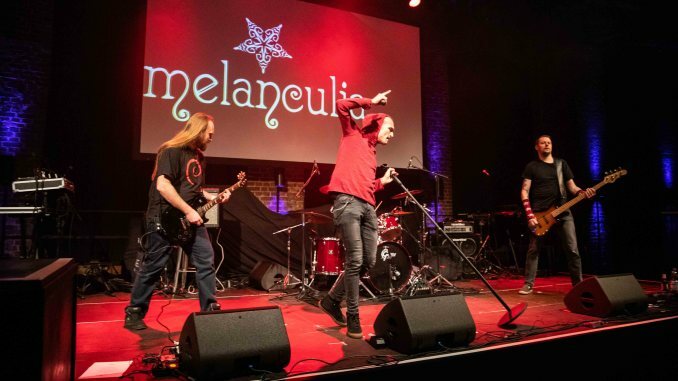 We have a website, a facebook site and – very important www.melanculia.bandcamp.com where you can listen and order our music. Do you guys have any merch besides music like t-shirts or anything? If so where can Indie volt and other people get their hands on it? If not, do you guys have any plans for any merch in the near future? We have merch. 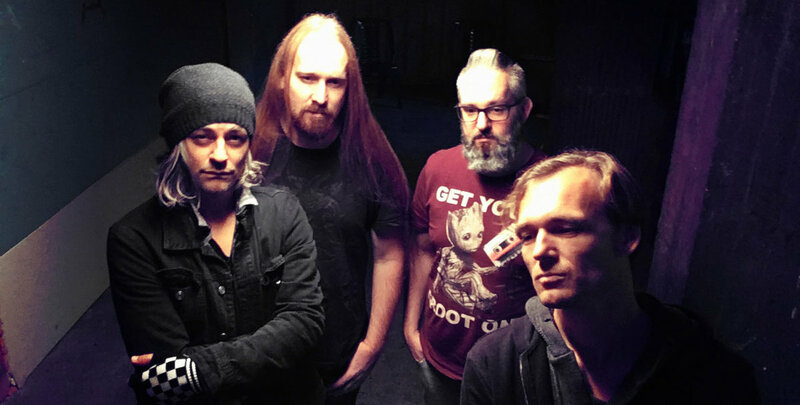 Please check the Bandcamp store and come to our shows – we always have some unique goodies with us. What does the future hold for Melanculia? Any upcoming tour dates or new albums? Any fun facts that we didn’t ask that you guys want to share with us? Fun facts about Melanculia? No – haha – there are no fun facts. Sorry!